It seemed inevitable the Yankees would get another infielder after trading away Starlin Castro and Chase Headley, and yesterday afternoon, it finally happened. 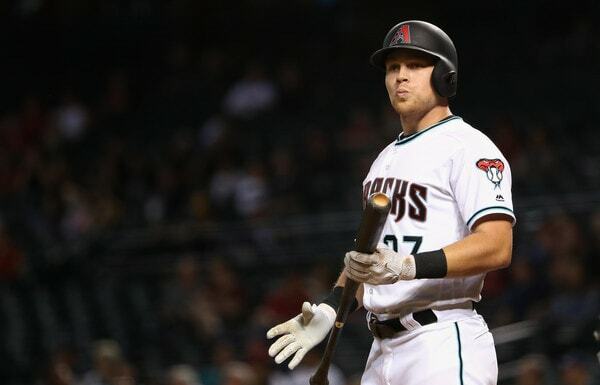 The Yankees acquired Brandon Drury from the Diamondbacks in a three-team trade that sends prospects Nick Solak to the Rays and Taylor Widener to the D’Backs. Hopefully this works out as well as the last time the Yankees got an infielder from Arizona in a three-team deal. Anyway, I have some thoughts on the deal, so let’s get to ’em. 1. My official position: I like the trade. Maybe even love it! Not that I think Drury is a budding star or anything, but he fits the roster well, he’s young (25) and has some upside, and it didn’t cost the Yankees anyone they’ll miss. Didn’t soak up any precious luxury tax plan payroll dollars either. I mean, the hope was Solak would one day turn into what Drury is now, and when Drury was Solak’s age, he was already in the big leagues. The Yankees gave up six years of a potential future Drury for four years of the actual Drury. Widener was the cost of doing business. The Yankees subtracted nothing from their Major League roster and added a versatile young player who adds depth at their two most wide open positions. And, as Joel Sherman notes, the Yankees have an extra layer of insight into Drury because new third base coach Phil Nevin managed him in Triple-A from 2015-16. What’s not to like? … and he can play multiple positions. Second and third are his primary positions, though he also has experience at first base and left field, and he can even fill in at shortstop in a pinch. If the Yankees decide Miguel Andujar needs more time in Triple-A, Drury can play third. If they decide Gleyber Torres needs more time at Triple-A, Drury can play second. And if they decide neither needs more time at Triple-A, Drury can be a supersub. He can back up Greg Bird at first base too. Walker was my top target because I thought the lineup could use a switch-hitter with on-base ability. Drury is a fine alternative. 3. The Drury pickup likely squashes any chance of Mike Moustakas on a pillow contract, not that I thought the Yankees signing him was all that realistic. I bet he ends up with a market rate contract a la Lorenzo Cain, Yu Darvish, Eric Hosmer, and J.D. Martinez even though things aren’t looking good now. Maybe a #mysteryteam swoops in to sign him. The Phillies, maybe? The White Sox could work. Can’t rule out the Braves either. Anyway, point is the Yankees always seemed like a long shot for Moustakas, and now there’s basically no chance it happens. He doesn’t fit financially and there’s less of a need at third base. Never say never! But yeah, Moustakas ain’t happening, and I am totally cool with that. The Yankees did all that while staying payroll neutral. Shedding Castro and Headley offsets Stanton’s salary, and Drury essentially slides into Mitchell’s payroll slot. Pretty amazing. The Yankees got younger and better, didn’t take on money, and didn’t trade any prospects that really hurt. Give Brian Cashman another Executive of the Year award. 5. This trade means nothing for Torres and Andujar long-term. They are still the future at second and third bases, respectively, and the Yankees won’t let Drury stand in the way of either. In the short-term, I think it is now more likely Andujar will return to Triple-A to begin the season. Sending Gleyber down for service time reasons makes too much sense — the injury and subsequent layoff provide the perfect cover — and I expected that to happen even before the Drury trade. It seems to me the potential loser here is Tyler Wade or Ronald Torreyes, though I’d bet good money on Torreyes making the Opening Day roster. It’s possible Wade will as well. Drury at third, Wade at second, Torreyes on the bench with Andujar and Torres in Triple-A. See? Doable. The trade does make the path to big league playing time a little more difficult for the kids and I don’t consider that a bad thing, even though I am bummed Andujar may have to wait a little longer to get his shot. A little friendly competition among infielders never hurt anyone. Drury is versatile enough that everyone can coexist on the roster when the time comes, and the Yankees won’t let him block any of their higher upside prospects. Drury doesn’t walk, but his chase and swing-and-miss rates suggest he isn’t a mindless hacker. And he doesn’t struggle against pitches that bend. Maybe the Yankees think Drury is a tweak or two away from really breaking out? Something that helps him get around on fastballs a tad quicker could do wonders. He’ll be a nice little project for hitting coach Marcus Thames and assistant hitting coach P.J. Pilittere. And if nothing works, oh well. Drury is useful as is. But I think there’s some untapped potential here. Good things tend to happen with young players who have power, and don’t chase or whiff excessively. 7. The trade follows the pattern the Yankees established at the trade deadline. They’re trading prospects, but not their best prospects, and they’re dealing from positions of depth. Blake Rutherford and Dustin Fowler are very good outfield prospects, but they’re not Clint Frazier and Estevan Florial. Widener, Zack Littell, Jorge Guzman, and James Kaprielian are good pitching prospects, but they’re not Justus Sheffield, Albert Abreu, Dillon Tate, and Chance Adams. Solak is a good second base prospect, but he’s not Gleyber or Wade or Thairo Estrada. The Yankees are using their prospect surplus in exactly the right away. They’re trading those excess prospects for big league players. Solak and Widener are quality prospects, no doubt, but they are far down the depth chart and didn’t have much of a chance to become impact players for the Yankees anytime soon. The Yankees cashed them in as trade chips, and hey, the trade is good for them too. Solak and Widener will have greater long-term opportunities with the Rays and D’Backs, respectively. Everyone wins. 8. So what’s the second base depth chart look like right now? I guess it’s Drury, Torres, Wade, Torreyes, Thairo in that order. That’s a pretty nice list of names right there. Gleyber is the long-term answer, clearly, but Drury and Torreyes are already useful big leaguers, and Wade and Thairo have the potential to be useful big leaguers soon. (I’m a Wade guy. I think he’ll be more than useful.) Easy to understand why the Yankees were willing to part with Solak, huh? He was stuck behind a lot of talent. It’s no surprise then that Sherman says the Yankees tried to sell the Pirates on Solak as the second piece behind Frazier during Gerrit Cole trade talks. That didn’t work, obviously. Solak and Jorge Mateo are gone and the Yankees are still chock full o’ second base options. Pretty great. 9. And finally, I still expect the Yankees to add a pitcher soon, as in before Opening Day. The Drury trade actually creates some clarity for the pitcher search. The Yankees have their infielder, didn’t spend any of their finite luxury tax plan dollars, and didn’t trade any top prospects. They know what they need and exactly how much they have to offer, both in trades and free agency. I don’t think the Yankees want to give up draft picks or international bonus money for Lance Lynn or Alex Cobb, and aside from Jake Arrieta, the other free agent rotation options kinda stink. (Trevor Cahill? R.A. Dickey?) Chris Archer seems likely to move now that the Rays are in full blown tank mode, and the Drury trade shows the Yankees aren’t against sending prospects to Tampa. Would Tampa send Archer to the Yankees though? Who knows. Patrick Corbin and Michael Fulmer are the usual trade targets. I wonder if the Yankees will go off the board and try to pry someone like Michael Wacha or Kendall Graveman loose. We’ll see. I think a pitcher is coming though. The Yankees aren’t done. MLB.com | Bryan Hoch: Speaking of Sir Didi Gregorius, he recently spoke about the possibility of Gleyber Torres and Miguel Andujar joining him in the infield. Sir Didi gave the two rookies the simple advice to just play the way they did in the minors. With the addition of Drury, the competition for second and third base just got even hotter. Of course, Drury could just be replacing Ronald Torreyes as a backup. We’ll see. Honestly, these are not bad problems to have. 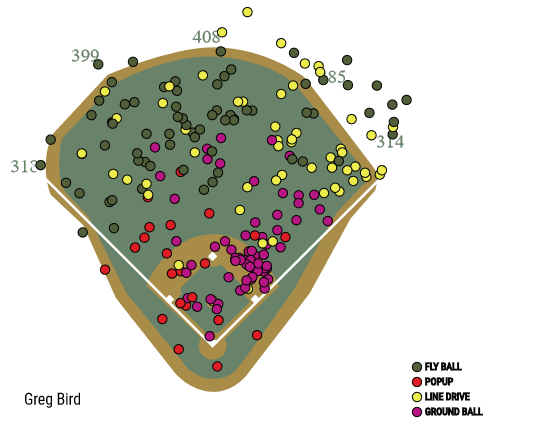 TAMPA — If Gary Sanchez didn’t lead big-league catchers in mound visits last season he was very close. Now, with MLB’s new policy on managers, coaches and players trucking to the mound, which limits six visits per nine innings to supposedly quicken the game, everybody is going to have to adjust. “Big change? I am not quite sure, but it’s going to be different and difficult because you are limited on the amounts you can go out there,’’ Sanchez said through an interpreter Tuesday afternoon at George M. Steinbrenner Field. Many of Sanchez’s trips, and those of other catchers, were made to change signs because sign-stealing remains a big part of the game. Sanchez said it was a buffet of reasons for the walk that stalls the game’s action but often is necessary in a big spot of a big game. Whatever a catcher’s opinion of the rule, it will be of little help. “The reality is that they made the change and now it’s up to us to adjust to it,’’ Sanchez said. Romine, who said six visits per nine innings is fair, didn’t kill the grass moving from the plate to mound so the new rule won’t change his plan. At some point in the next five weeks and one day, the Yankees will finalize and announce their starting rotation order for the beginning of the 2018 season. They may have already picked out an order for all we know. Hopefully everyone makes it though Spring Training in one piece and the Yankees are able to set their starting five in whatever order they deem best. So far new manager Aaron Boone has mostly brushed off questions about the rotation order — “To me, the order in which they pitch isn’t necessarily as big a deal,” he said over the weekend — and he’s yet to name an Opening Day starter. According to our poll, RAB readers would give the ball to Masahiro Tanaka in the season opener, though Luis Severino isn’t far behind. Either works for me. Like Boone said, the rotation order on Opening Day isn’t that big a deal. They’re five games in a 162-game season. The only thing that makes these games different is the ability to line up the rotation however you want. It’s tough to rearrange things in the middle of the season, and sometimes even going into the postseason. On Opening Day though, teams can set things up however they want. CC Sabathia will start the fifth game of the season. The Yankees will order their rotation with the fourth series of the season in mind, not the first. The Yankees open the season with four games in Toronto, which means four games on turf. That’s not good for Sabathia’s degenerative right knee. In fact, last season the Yankees avoided starting Sabathia in Toronto (and Tampa Bay) whenever possible simply to keep him away from the turf. Because of that, I think they skip him that first series entirely, and have him start the fifth game of the season instead, which happens to be the home opener. Now, the weather has a tendency to throw a wrench into rotation plans, especially in April, and there’s not much the Yankees or anyone can do about that. Starting Sabathia in the fifth game, away from the turf, will be a piece of cake. The Yankees begin the year with four games in a dome, so the weather will be a non-issue. Lining up the rotation for the Red Sox series — I assume Tanaka, Severino, and Sonny Gray would be the guys in whatever order — will take a little weather luck. What can you do? Just have to hope for the best. The Sabathia thing is so ridiculously obvious that I would be stunned if it didn’t happen. Keeping him away from the turf in Toronto is a no-brainer, especially when it comes with the added bonus of starting him in the Yankee Stadium opener. The Red Sox thing is a little trickier because of the weather. The schedule does make it easy to line specific guys up for those games though, and I expect the Yankees to do that. If the weather cooperates, great. If not, well, at least they tried. TAMPA — Third base is Brandon Drury’s spot to lose. That was the main takeaway from Brian Cashman a day after the Yankees GM acquired the versatile Drury from Arizona in a three-way trade with the Diamondbacks and Rays. Drury, who Cashman pursued all winter, has spent the majority of his MLB career at second, but has played 41 games at third, committing four errors. The deal enables the Bombers to bring Miguel Andujar along slowly, though Cashman still envisions big things in the prospect’s future. Andujar’s hitting is ahead of his fielding in the eyes of the organization, and he can finish off his defensive development in the minors if need be. Highly touted prospect Gleyber Torres will now compete primarily at second. Torres, 21, could give the team something to think about if he has another spring like he did last year — when he hit .448 — though it’s possible the Yankees could decide to start him in the minors after he missed a significant junk of 2017 due to Tommy John surgery on his non-throwing elbow. It would also delay Torres’ service-time clock, enabling the team to keep him under control for seven years instead of the usual six. Defensive specialist Danny Espinosa and solid utility man Ronald Torreyes are among the other candidates at second. Drury has also played first, shortstop and both corner outfield spots in the big leagues. It’s possible that he could put backup first baseman/outfielder Tyler Austin’s roster spot in peril, especially if the Bombers decide to carry an extra pitcher. The Bombers have been developing Tyler Wade in a similar versatile manner, though Wade has options. The Yankees think Drury has some untapped potential, another player that’s easy to dream on in the eyes of their scouts. He’s hit 29 homers in the last two seasons combined, though his home-road splits are drastic: he has an .893 career home OPS and a .648 career road OPS. Granted, in a lineup that also features the likes of Giancarlo Stanton, Aaron Judge, Greg Bird, Gary Sanchez and Didi Gregorius, Drury certainly won’t be asked to carry the offensive load. Drury also is under team control for the next four years, and his low pre-arbitration salary for 2018 fits in with ownership’s long-stated mandate to stay under the $197 million luxury-tax threshold. 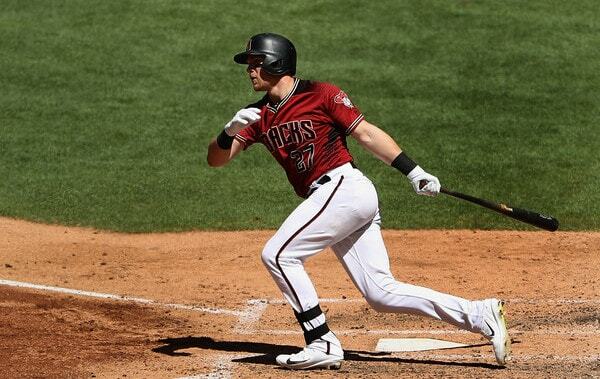 Drury was expected to arrive in Tampa after Wednesday’s workouts and be with the team on Thursday. The Yankees had to surrender prospects Nick Solak and Tyler Widener to get the deal done. TAMPA -- Miguel Andujar won't be the only one affected by the arrival of Brandon Drury to Yankees camp. It means change for top prospect Gleyber Torres, too. Yankees new third baseman arrived in Tampa on Wednesday night and will participate in Thursday's spring training practice. While Andujar will be asked to continue to work on his defense and compete for the starting third base job, Torres' attention will shift mostly to second base, general manager Brian Cashman told reporters at George M. Steinbrenner Field on Wednesday. "That's the one great thing about all these things," Cashman said, sitting in the first-base dugout. "I think Gleyber, for me, will be competing mostly at second with whatever, Tyler Wade, Estrada -- you get back down to the competition -- Danny Espinosa, Jace Peterson. There's going to be a lot of competitions that play out during this camp. (Manager) Aaron Boone and (bench coach Josh) Bard and (infield instructor Carlos Mendoza) on the infield side, they're going to have a lot of look at, to evaluate over the course of the spring, which is relatively short, with the time frame. It's not like they're playing nine innings out of the gate ... despite the month-long process, the sample sizes aren't large. We'll do everything in our power to fall back on our analytical assessments, our pro scouts assessments that factor into what we see here too and the competition. I see Gleyber mostly focusing on the competition at second, which has served him well because he's a versatile player." Torres was expected to compete at both second base and third base. The 21-year-old took grounders with Andujar at third base Tuesday. The Yankees believe Torres, a natural shortstop, is a better fit for second base than third base long-term. Baseball America ranks Torres the game's sixth-best prospect but also its best shortstop prospect. Baseball finally returns tomorrow. Meaningless baseball, but baseball nonetheless. The Yankees open their Grapefruit League schedule tomorrow afternoon against the Tigers and yes, the game will be televised. I can’t wait. Meaningless spring games are fun in their own way. Let’s get to some thoughts the day before the spring opener. 1. The players I am most interested to see this spring, in no particular order: Albert Abreu, Kyle Holder, Jonathan Loaisiga, and Dillon Tate. Weird list, I know. Loaisiga, Abreu, and Tate are three of the best pitching prospects in the organization and I haven’t seen any of them in game action yet, so I’m looking forward to that. Holder is an outstanding defensive shortstop and great defense is always fun. Hopefully Abreu’s appendectomy doesn’t stop him from getting in games. Of course I want to see guys like Gleyber Torres, Miguel Andujar, Giancarlo Stanton, and Brandon Drury. I want to see everyone. That kinda goes without saying. But I really enjoy Spring Training because it’s a chance to see players I’ve never seen and maybe won’t ever see again. Loaisiga is fascinating because he went from tryout camp to legitimate prospect, and Tate is supposedly back to where he was in college, when he was the fourth pick in the 2015 draft. I’m guessing he’ll come out throwing fire, creating a “who the heck is this guy?” type of buzz among casual fans this spring. That’d be fun. 2. 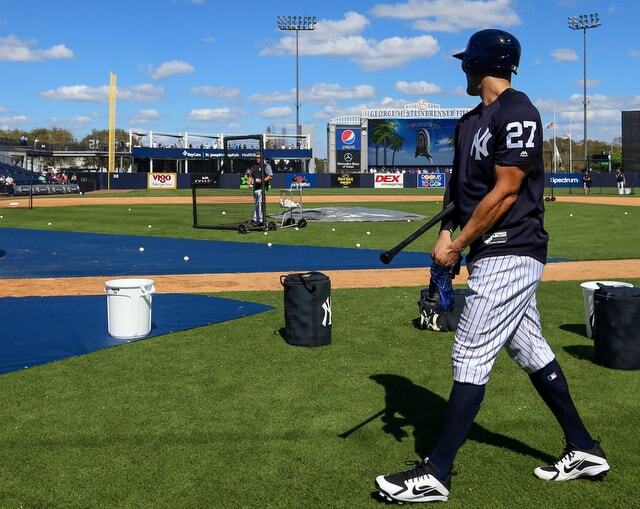 Specific things I am most interested to see this spring, in no particular order: Aaron Judge’s swing post-shoulder surgery, Tyler Wade’s and Clint Frazier’s new hitting mechanics, and Gleyber’s swing post-elbow surgery. Judge and Gleyber both had surgery on their left arms, their front arms as right-handed hitters, and I’m curious to see whether there is any apprehension on their part to really cut it loose. That would be a bad thing but also a completely natural and correctable thing. My guess is both Judge and Torres will take full swings and look completely normal. They’ve been in camp and hitting a while now. They’ve likely worked through any lingering post-surgery apprehension. As for Wade and Frazier, both said they tweaked their hitting mechanics over the winter to accomplish different things — Wade wants to get around on the inside pitch better and Frazier wants to keep his bat in the zone a little longer — and I want to see those changes in action. Also, I should include Jordan Montgomery’s changeup in here. He said he the pitch didn’t behave last year. Getting that pitch back could be huge considering Montgomery was pretty darn good without it. Could take him to another level. 3. Annual reminder that Spring Training performance doesn’t mean anything — “(It) is a super small sample size with different kinds of situations than you would see during the regular season,” said Aaron Boone to Randy Miller — except in the very few cases it does. Those cases tend to be players on the fringes of the roster who are trying to make the team, or avoid getting released at the end of camp so they can go to Triple-A. They have to impress to stick around. 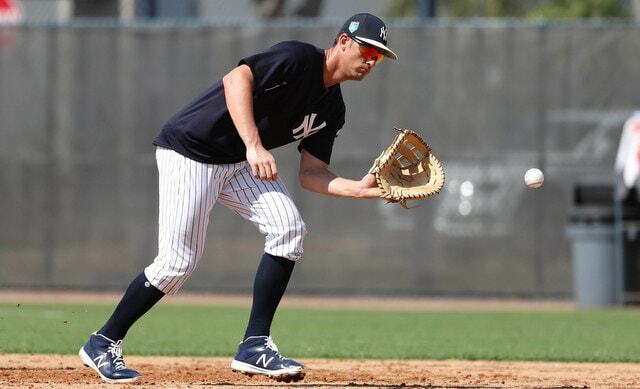 Brian Cashman singled out Tyler Austin as someone who needs to have a good spring — “(He’s) going to have to show us some things down here to prove he’s the guy (to back up first base),” said Cashman to Dan Martin — and that was before the Drury trade. Now the Yankees could easily go into the season with Drury as their backup first baseman and send Austin back to Triple-A. So, who falls into the “he needs to have a good spring” camp this year? Austin, obviously. I’d say Chasen Shreve as well. The Yankees have lots of power arms in the minors and Shreve is the last guy in the bullpen. Andujar and Gleyber could help their roster situations with great Grapefruit League seasons, though in reality, there might not be anything they can do to secure a spot. They might be destined for Triple-A no matter what. Luis Cessa could use a strong spring to avoid falling behind guys like Domingo German and Chance Adams on the rotation depth chart. 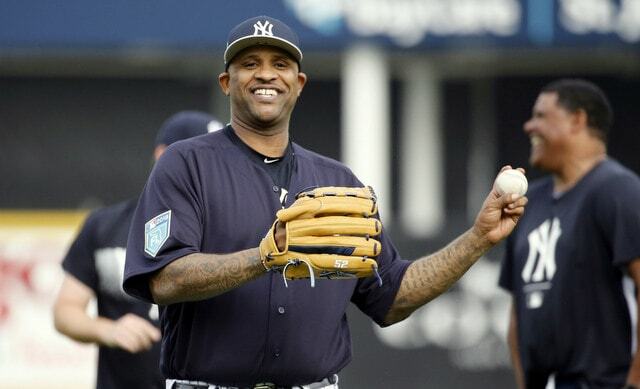 If CC Sabathia has a 9.75 ERA this spring, don’t worry. If Didi Gregorius doesn’t hit a homer until March 26th, don’t worry. If Masahiro Tanaka has a 0.50 ERA, don’t get excited. Spring performance for veteran dudes locked into a roster spot means nothing. It’s the guys on the fringes of the roster who have to perform. Girardi wouldn’t have thrown in that last line, otherwise yeah, sounds like him. And that’s fine. Keeping relievers healthy and effective over the long haul should be a top priority this season — the Yankees aren’t planning for a 162-game season here, they’re planning to play into November — and the Yankees do have the bullpen depth to make it possible. Certainly moreso than last year, when Girardi’s second wave of relievers was guys like Jonathan Holder and Tommy Layne. Boone has Adam Warren and Tommy Kahnle for those spots this year. Girardi didn’t like using relievers back-to-back-to-back days until very late in the season and I suspect the same will be true with Boone. That seems like a directive — maybe not a directive, but a suggestion — coming from above. When it came to not overworking relievers, Girardi was obsessive. I hope Boone is the same way. The real question is how does he deploy those guys? Does he have set seventh and eighth inning relievers, or will he be more willing to mix and match? Girardi rested guys but was very rigid with his deployment. I’m hoping Boone will be a little more flexible. 5. How long until Judge and Stanton get tired of answering questions about their bromance? It seems like something the media is trying to force on them — in every press conference so far they’ve been asked about their relationship and their work together — and that has to be annoying. I get it. They’re two superstars and they’re basically mirror images of each other, so these questions are inevitable. Derek Jeter and Alex Rodriguez were asked about their relationship all the time when the Yankees first acquired A-Rod. Now it’s happening with Stanton and Judge. 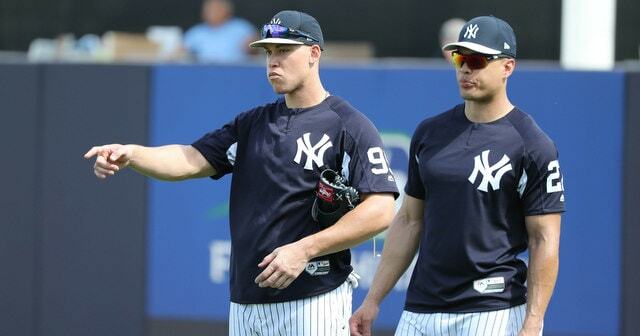 They’re both awesome and they’re both Yankees, and it would be cool if they’re best buds. And if they don’t become best friends, that’s okay too. You can’t just stick two random people together and expect them to become friends just because they have similar traits. (It irks me to no end when Michael Kay says the Red Sox signed Hideki Okajima just so Daisuke Matsuzaka would have a friend.) Judge and Stanton are great, and as long as they’re both driven to help the Yankees win, that’s good enough for me. Being buddies would be icing on the cake even though it would make zero difference to my life whatsoever. I imagine all the questions will get grow old quick though. I know they would to me if I were in their shoes. 6. The new mound visit rule is going to create some headaches. One of the unintended consequences: How do teams stall for time while a reliever warms up? Usually the catcher would go out to the mound, maybe the pitching coach too, and there would be some pickoff tosses to first base to give the reliever time. Now those visits to the mound are limited. They’re a finite resource and teams may not want to burn one just to get a reliever ready. I suppose the solution is stepping off a bunch and/or making more pickoff throws to first base? Or do teams get their relievers warm a little earlier than usual? That’ll be tough because usually when we see teams stall for time, it’s because the inning is unraveling. The starter cruised through the first five innings then bam, a double and a walk to start the sixth inning, and the bullpen is getting hot. More step-offs and pickoff throws to first seems like the inevitable solution here, and functionally they shouldn’t add time to the game, but for whatever reason that stuff seems to kill the vibe more than a mound visit. 7. Can Major League Baseball work in Florida? This isn’t really a Yankees question but I think it has to be asked. Both the Marlins and Rays are tearing things down, and even when they were good and in contention, they couldn’t draw fans or run high payrolls. The Marlins have a brand new ballpark and they still can’t sell it out. Now the Rays are pushing for a new park right in Tampa. Is it worth it? Florida produces a ton of baseball players and you’d think a warm weather state would be a natural spot for MLB, but it’s been two decades now — more than that for the Marlins — and it’s not really working. Before investing hundreds of millions of dollars (tax payer dollars, of course) in another new ballpark in Florida, the league has to discuss whether it’s actually worth it. Would baseball be better with a team in, say, Portland or San Antonio rather than downtown Tampa? MLB is kinda stuck with the Marlins because the ballpark was just built. As for the Rays, MLB doesn’t want to lock itself into another undesirable situation if it’s not a viable market. The state doesn’t seem willing to support a team.